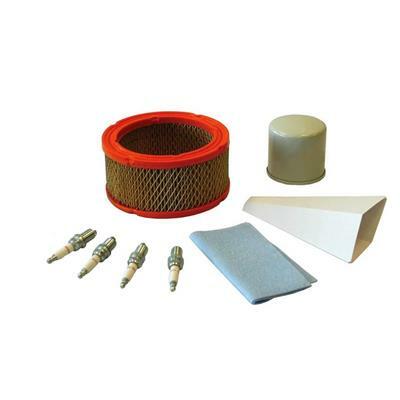 The Generac 5656 Scheduled Maintenance Kit for Liquid Cooled 2.4-Litre Engine Generators is a necessity for all standby generators. The Liquid-Cooled Scheduled Maintenance Kits offer all the components necessary to perform a complete maintenance on Generac liquid-cooled generators. Oil and coolant will need to be purchased separately based on manufacturer recommendations listed below. Maintenance is recommended for every 200 hours or 2 years. If running in a dusty environment, more frequent maintenance may be required. Further maintenance details can be found in the generator owner's manual.